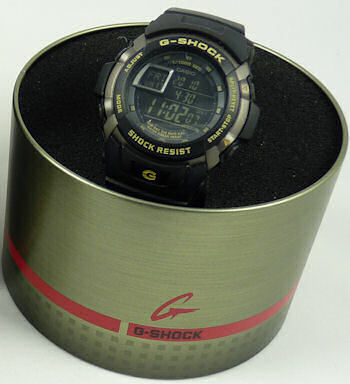 This fantastic G-Shock edition watch is designed to have all the functions needed to keep you on the move. 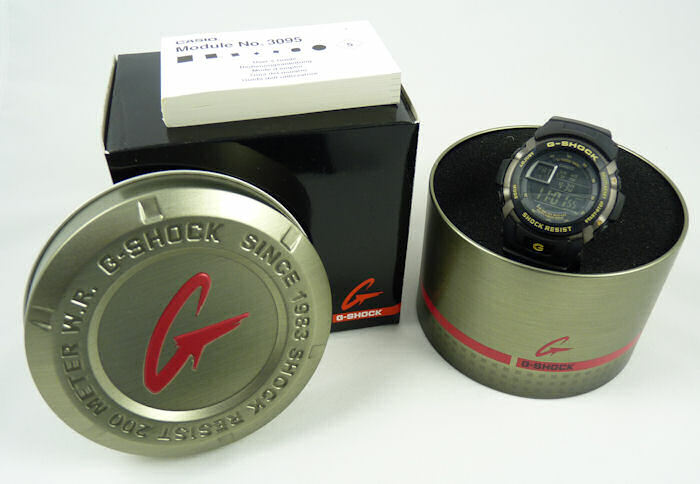 This watch features a Flash alert, World Time, 1/100 Sec Stopwatch, 2 Countdown Timers, 5 multi-function Alarms and is Water Resistant to 200m, and is in *As New condition and supplied with full documentaion and Steel Presentation Case and Boxed. The case employs a hollow structure in which the module is "floated" to protect it from shocks. A full urethane bezel provides all-directional enclosure to prevent direct shocks from striking the glass and buttons. A full urethane bezel provides all-directional enclosure to prevent direct shocks from striking the glass and buttons. And cushioning material provides extra protection for the key parts such as the crystal oscillator inside the module. 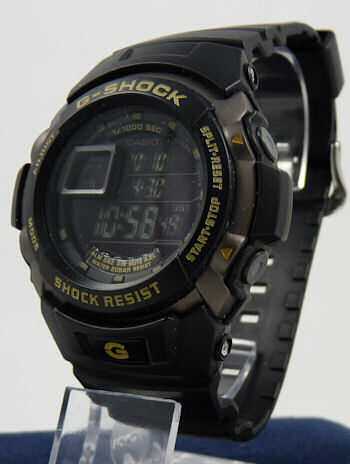 These and other shock-resistant technologies, exclusive to G-SHOCK, are spread generously throughout the body and the module interior to raise toughness to the highest levels. 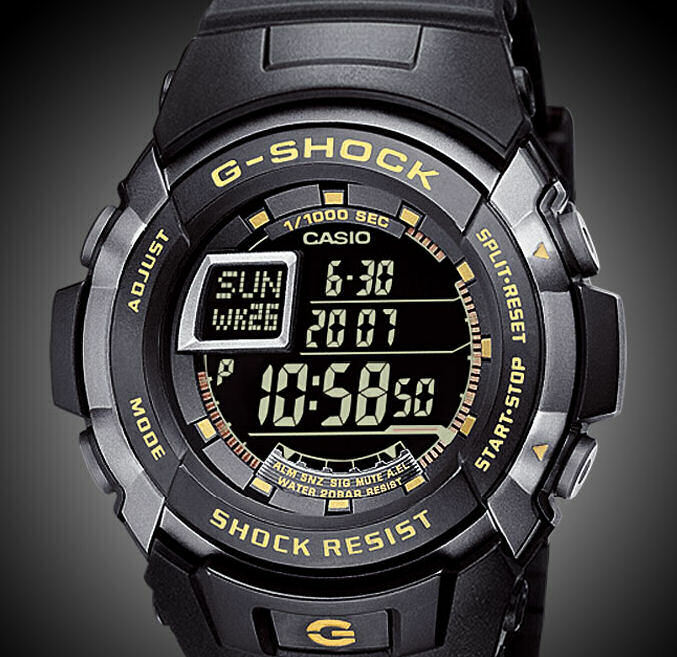 A prominent bezel configuration was adopted to prevent the buttons and glass from contacting flat surfaces, thus protecting them from shocks when falling at any angle. 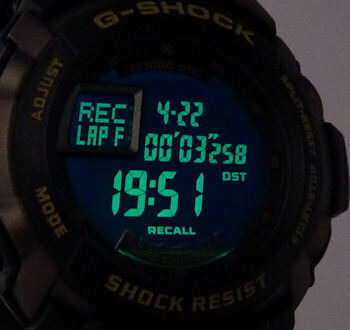 This design concept stressing protection from shocks is basic to every G-SHOCK case design, and the same protective structure is employed not only for our urethane cases, but also for our mm teal cases and analog watch cases. 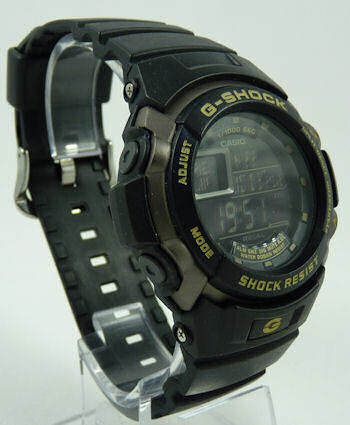 The band actually acts as a shock absorber itself, protecting against shocks from behind. We have established strict standards for the combination ratio of urethane resin employed. Neither too soft nor too hard, the superb specified combination realizes an ideal balance between shock resistance and comfortable wearability. This band is constructed of scratch-resistant pieces. 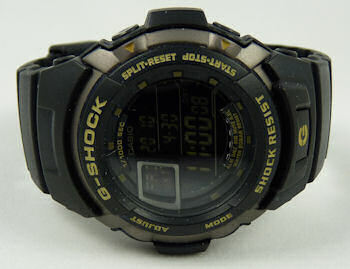 Damage from shock is prevented, even if the watch is dropped, by a structure that defends against shocks by employing wide intervals at the connection points between the band pieces, and adopting a flexible, 150-degree.